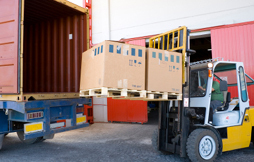 Are you in need of reliable transloading services but don’t know where to turn? At the Affiliated Warehouse Companies, we are always available to help when it comes to all aspects of the transportation process, including transloading and distribution. When you take advantage of our public and contract warehousing services, we can put you in touch with the right clients to suit your specific business needs. No matter what type of freight you are transporting, you can count on us to find reliable transloading services including rail to truck, truck to rail, and more. You will be happy to know that all of our clients provide affordable transloading services for a wide variety of industries. If you would like to learn more about transloading and the services that we offer, request a quote today by filling out our online form. For more information give us a call today to speak with a member of the AWCO team.